SHIZU SALDAMANDO has exhibited her artworks at venues that include the Smithsonian National Portrait Gallery, Washington, D.C.; Museo del Barrio, New York City; Los Angeles County Museum of Art, Los Angeles; Setagaya Museum, Tokyo; Indianapolis Museum of Contemporary Art, Indianapolis; Museum of Contemporary Art, San Diego; Japanese American National Museum, Los Angeles; CAM Contemporáneo, Guadalajara; and the Chinese American Museum, Los Angeles. 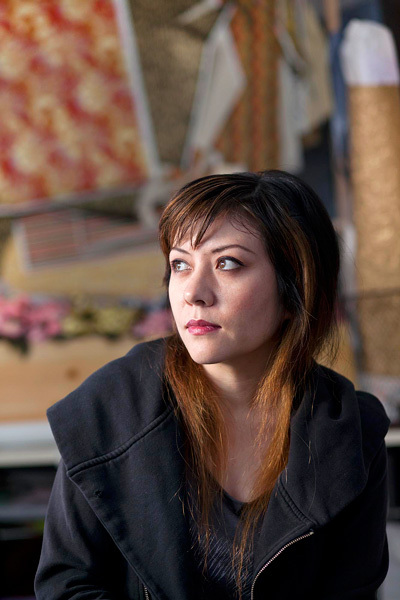 She is a recipient of the California Community Foundation Fellowship for Emerging Visual Artists. Saldamando holds a Master of Fine Arts from California Institute of the Arts and a Bachelor of Arts from the University of California, Los Angeles.